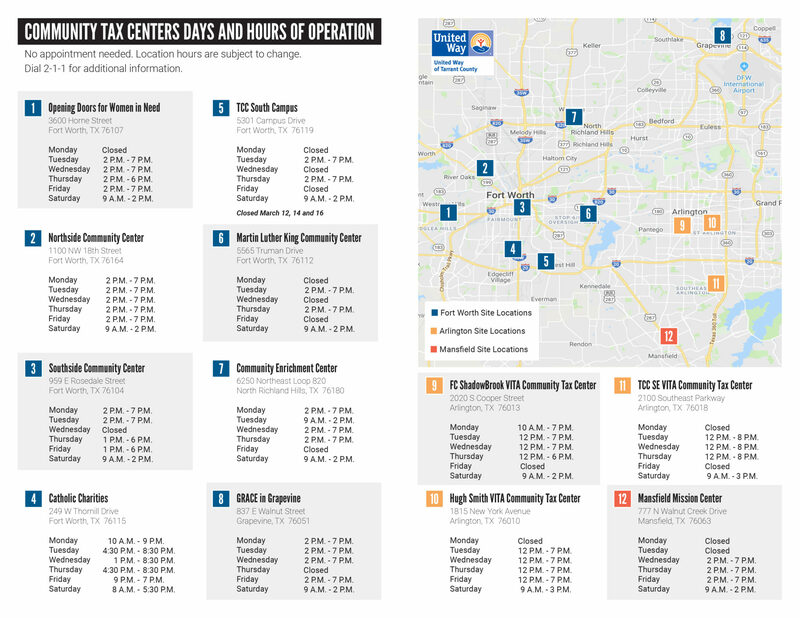 United Way of Tarrant County today announced that its 12 Volunteer Income Tax Assistance (VITA) Community Tax Centers, which are located throughout Tarrant County, are open through Wednesday, April 17, 2019. VITA is a free income tax preparation program for individuals and households with an income of $56,000 or less. Qualifying individuals receive quality tax preparation services from IRS-certified volunteers. 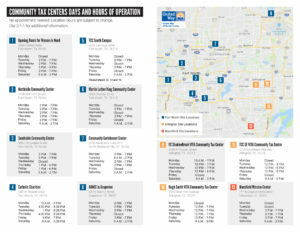 Tax center locations can be found at www.unitedwaytarrant.org/vita/. For many years, VITA has helped Tarrant County residents with financial stability and resiliency. In 2018, VITA volunteers prepared more than 8,000 returns, helping families receive more than $13 million in tax refunds.